If you are fluent in another language, then finding online translation jobs may be a great fit for you. There are always companies that are looking for great employees that can speak and understand different languages to be able to provide that customer service worldwide to all of their clients and customers. And if you are looking for a translation job that you can do from home, there are some great companies out there that are hiring! 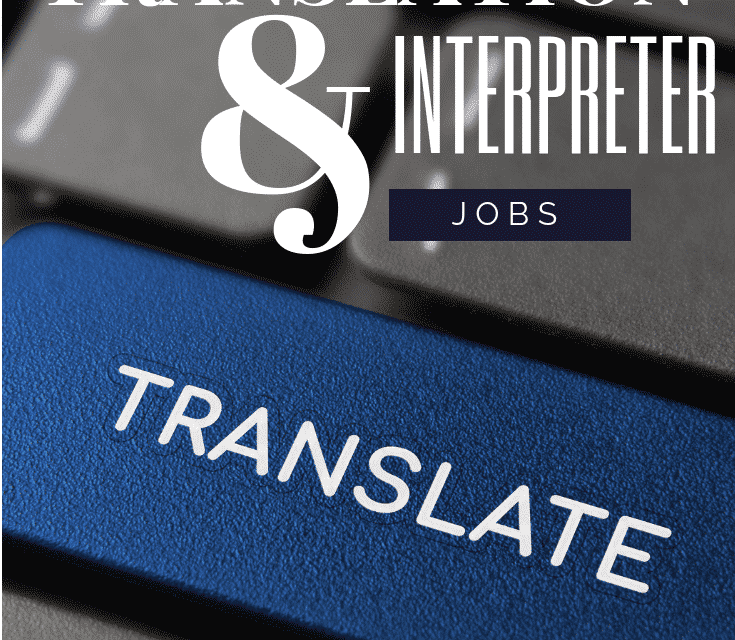 Before applying to any type of translation or interpretation job, it’s important to understand exactly what the requirement and skill sets of each job may entail. If you are looking for a few hints on what skill sets you should be sharpening up, here are a few to get you on the right track. Flexibility. Not all Work from Home jobs in this industry offers your typical 9-5 schedule. You need to have the flexibility to work alternate hours especially if you will be communicating with people all over the world in different time zones and countries than where you are. Experience. Experience is important when searching for a Work from Home position. If you have any type of previous experience in the translation/interpretation industry, make certain to highlight that on your application and your resume. Working from Home means that the company has faith in your ability to motivate yourself and stay on track, and by showing that you have experience in this kind of work prior, it helps to also show that you’ll know what to do and how to structure your day as well. Ability to translate written and verbal communication. While it’s important to be able to speak and translate into English what your customers and clients are saying, it’s also just as important for these online translation jobs to be able to translate their written word as well. Make certain that you are well-versed in both forms of communication and feel comfortable translating either way. It’s a huge bonus to a company if they can hire someone who is comfortable translating written and verbal communication with little training on their part. Some of these companies below require little to no experience while others require previous experience or sometimes even a degree in translation. Check the notes next to each company name or visit the website for more information on specific qualifications for each individual position. Some of these companies below will hire you on and can offer consistent work and pay while others offer freelance work that may or may not be consistent throughout the year. 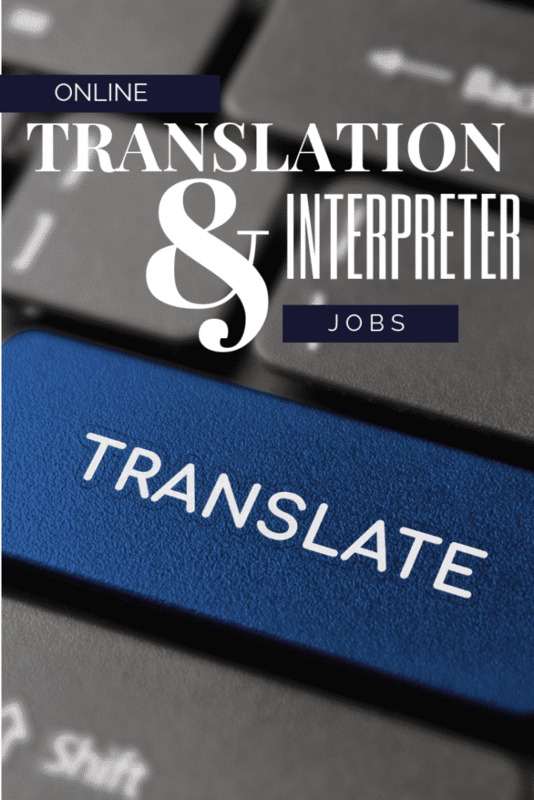 For these positions you may want to use your translation skills with multiple companies in order to get enough work. Several of the companies listed below hire for online translation jobs for translating documents which means the positions are non-phone jobs while others hire for phone translation jobs meaning you need to be on the phone translating. Be sure you read the full job description before applying to see if the position is right for you. Why apply for online translation jobs? There are many reasons that people want to apply and work as a translator! The position offers the possibility to talk to people from all over the world. While this may not necessarily fall into the “perk” category, it is definitely an aspect that would keep the day-to-day and the job interesting. There is some flexibility in the workday. Again, if you are communicating with people in other countries and time zones, your work schedule is going to be anything but normal. If you happen to be looking for a Work from Home job that offers later working hours, or possibly even super early ones then a job as a translator may be a great fit for what you are looking for. It’s a good industry to find work in. With the globalization of our economy and workforce, the need for translators doesn’t seem to be going anywhere anytime soon. If you are looking for a career that could possibly offer a bit of stability, this may be a good choice for you to consider pursuing. The pay is good! While translators and interpreters are typically paid at an hourly rate, there is potential to earn some great money by working in this field. Finding a work from home job that suits your skill sets and qualifications is important. It takes years to be able to learn and master a foreign language so it’s just as important to make certain that you put your knowledge and your time and invest that with a company that is a good fit for you. Take the time to understand what their wants are compared to your wants before deciding to move forward with the application process. Trust that you will save a ton of time if you do the research beforehand rather than get all the way through the process to find out that the job and the company that you are applying for isn’t a good fit. If you are interested in applying to open online translation jobs, look no further than these companies that are actively hiring.